Snehal lunge1, Vaibhav Patil2, Milind Borkar3, Neelima Saoji4. 1 Department of Dermatology, JNMC, Belgaum. 2 Department of Cardiology, JNMC, Belgaum. 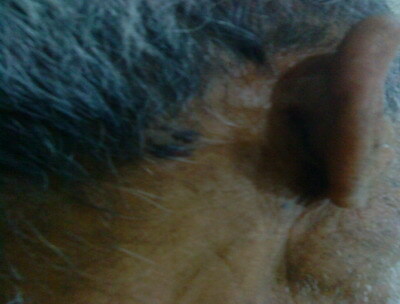 3 Department of Dermatology, NKPSIMS & LMH, Nagpur. 4 Department of Medicine, NKPSIMS & LMH, Nagpur. Ramsay Hunt syndrome (also termed Hunt's Syndrome and herpes zoster oticus) is a herpes zoster virus infection of the geniculate ganglion of the facial nerve. It is caused by reactivation of herpes zoster virus that has previously caused chickenpox in the patient. Ramsay Hunt syndrome results in paralysis of the facial muscles on the same side of the face as the infection so, the virus infects the facial nerve that normally innervates the muscles of the face. Ramsay Hunt syndrome is typically associated with inflamed vesicles in or around the ear and sometimes on the roof of the mouth or tongue. Here we are presenting a case of 70 year old male had Ramsay Hunt syndrome with multiple cranial nerves' involvement (CN IX & X). Treatment with prednisolone and valacyclovir was given within the first three days of facial paralysis to the patient to achieve complete recovery. Ramsay Hunt syndrome is defined as varicella zoster virus(VZV) infection of the head and neck that involves the facial nerve, often the seventh cranial nerve (CN VII). Other cranial nerves (CN) might be also involved, including CN VIII, IX, V, and VI (in order of frequency). This infection gives rise to vesiculation and ulceration of the external ear and ipsilateral anterior two thirds of the tongue and soft palate, as well as ipsilateral facial neuropathy (in CN VII), radiculoneuropathy, or geniculate ganglionopathy. After chickenpox, VZV remain latent in neurons of cranial nerve and dorsal root ganglia. Subsequent reactivation of latent VZV can result in localized vesicular rash, known as herpes zoster. VZV infection or reactivation involving the geniculate ganglion of CN VII within the temporal bone is the main pathophysiological mechanism of Ramsay Hunt syndrome. 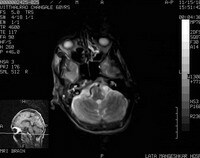 Here we are presenting a rare case of Ramsay hunt syndrome with multiple cranial nerve involvement. 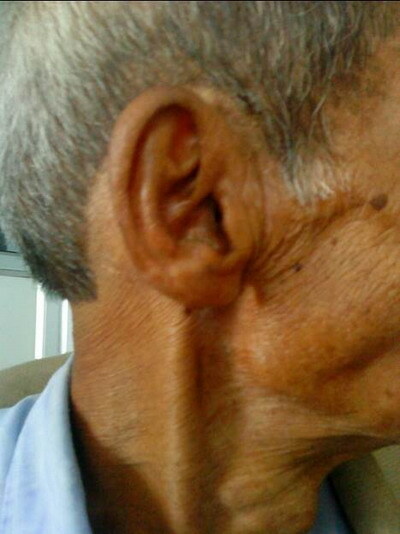 A 70 year old male, right handed, farmer by occupation presented with fever and erythematous rash over external ear since 3 to 4 days, difficulty in swallowing, deviation of angle of mouth to left side since 2 days , unable to close right eye , hiccoughs and headache since 1 day. There was no history of any ear discharge, convulsion, unconsciousness or weakness in any limb. Patient denies any history of hearing loss. There was no history of diabetes mellitus, hypertension, pulmonary tuberculosis, patient also denies any history of promiscuous behavior. On general examination patient was conscious oriented with time, place and person, Afebrile, P - 84/min regular RR-20 / min, BP- 100/60 mm Hg, Pallor present. 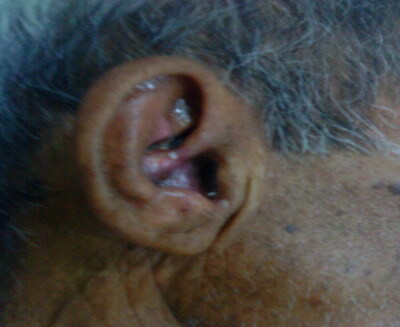 On cutaneous examination multiple grouped vesicular eruptions on erythematous base presented on external ear and posterior aspect of right ear (Figure1&2). On systemic examination within normal limits. CNS examination within in normal limits except VII, VIII, IX, X cranial nerves were involved. Patient had right side palpebral fissure widen than left, incomplete closure of right eye, nasolabial fold flattening on right side, angle of mouth deviated to left side, epiphora from right eye, taste sensation of anterior 2/3rd of tongue was absent suggestive of VII cranial nerve(facial nerve) involvement. Rinne's test positive in both ears, Webers test showed reduced hearing on right ear suggestive of sensorineural hearing loss of right side of VIII cranial nerve(Vestibulocochlear nerve) involvement. 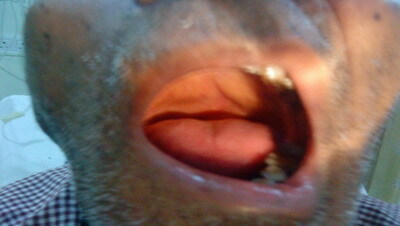 Soft palate movements on right side were absent, gag reflex absent on right side, uvula was deviated to left side suggestive of IX & X cranial nerve (Glossopharyngeal & Vagus nerve) involvement. Other cranial nerves were normal. Motor function & delayed tendon reflexes were normal. Sensory function was normal. Cerebellar functions were normal. Fundus examination was within normal limit. On clinical examination was consistent with acute onset lower motor neuron type right sided VII,VIII, IX, X cranial nerve palsy due to reactivation of herpes zoster. Then we investigated the patient as CBC- Hb-10 mg/dl, KFT- Urea -30mg%, Sr.creatinine-0.8%, LFT- normal, HIV 1 &2 - negative, blood sugar (random)-104 mg/dl. Serology results for herpes simplex virus 1 and 2 were positive for IgG antibodies and negative for IgM antibodies. Varicella-zoster virus (VZV) IgG antibodies were positive, but IgM antibodies was positive. 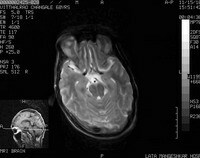 MRI brain revealed age related mild cerebral atrophy with neurodegenerative changes. Soft tissue intensity was seen in right mastoid air cells and in the inner cavity which on post contrast study showed minimal enhancement with edematous VIIth and VIIIth nerve complex suggestive of inflammatory focus in clinically diagnosed case of Ramsay Hunt Syndrome (Figure 5). The patient was treated with tablet valacyclovir 1gm 3 times per day for 7 days along with tab prednisolone 40 mg OD in tapering dose for 1month, Ryle's tube feeding was done for 10 days, Physiotherapy of facial nerve was done for 1 month, eye bandage was put for 10 days. At the end of 1 month remarkable improvement was observed (Figure 1,2,3,4 & 6,7 shows pre treatment & post treatment photograph). He is being followed up till today. Ramsay Hunt syndrome is defined as an acute peripheral facial neuropathy associated with erythematous vesicular rash of the skin of the ear canal, auricle (also termed herpes zoster oticus), and/or mucous membrane of the oropharynx. This syndrome is also known as geniculate neuralgia or nervus intermedius neuralgia. Ramsay Hunt syndrome can also occur in the absence of a skin rash, condition known as zoster sine herpete. Ramsay Hunt syndrome was first described in 1907 by James Ramsay Hunt in a patient who had otalgia associated with cutaneous and mucosal rashes, which he ascribed to infection of the geniculate ganglion by human herpes virus 3 (i.e., varicella-zoster virus). [2,3] He concluded that the syndrome resulted from a reactivation of VZV in the geniculate ganglion, which was later confirmed by polymerase chain reaction studies demonstrating the presence of VZV DNA in the geniculate ganglion. Originally, Hunt described otalgia, cutaneous and mucosal lesions, and facial paresis involving cranial nerve (CN) VII (the facial nerve). Subsequently, he described involvement of CN VIII (the vestibulocochlear nerve) with hearing loss, tinnitus, vertigo, and nystagmus. The brainstem contains the nuclei for CNs III through XII, which are in close anatomical proximity. Ramsay Hunt syndrome is a common expression of two CN nuclei (VII and VIII) which are adjacent to each other. Other examples of Ramsay Hunt syndrome associated with adjacent CN nuclei include reports involving CNs V, VI, IX, and X. There is only one other reported case of Ramsay Hunt syndrome associated with CN XII. In that case report, CNs V and IX were also involved. Our case represents Ramsay Hunt syndrome associated with CN IX & X involvement, which is unique. There are two explanations for multiple CN involvement. Ramsay Hunt proposed that inflammation of a single ganglion could involve surrounding ganglia by contiguous anatomical contact. Others feel that cranial polyneuropathies occur by the spread of a virus through a common blood supply, including small branches of the carotid artery. This case demonstrates the importance of recognizing the possible manifestations of Ramsay Hunt syndrome as noted by our patient with otalgia, vesicles in the concha, facial paresis (CN VII), hearing loss, tinnitus (CN VIII) and soft palate movements absent on right, Gag reflex absent on right side, Uvula deviated to left side (CN IX & X). This disease is prevented by immunizing by varicella vaccine. Treatment with the corticosteroid prednisone and acyclovir has been shown to achieve complete recovery in a majority of patients if started within the first three days of facial paralysis,  with chances of recovery decreasing as treatment was delayed. Delay of treatment may result in permanent facial nerve paralysis however, treatment apparently has no effect on the recovery of hearing loss. Our patient was unique as Ramsay Hunt syndrome commonly involves VII and VIII cranial nerves but in our case IX and X cranial nerves were also involved which is very rare. We also treated this patient early with systemic prednisolone & valacyclovir with remarkable response to treatment. Almost complete recovery was observed. 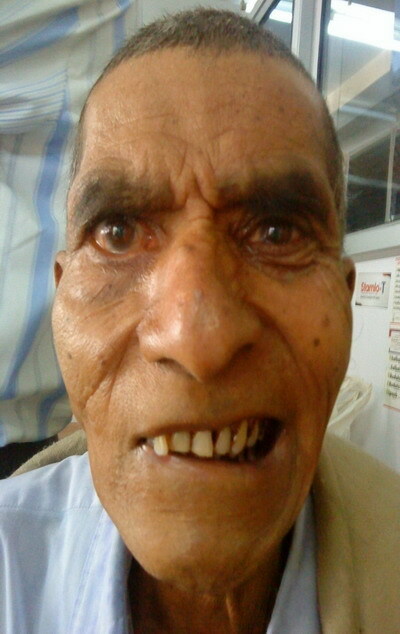 Presently patient is taking physiotherapy for residual recovery of facial muscles. To the best of our knowledge there are very few case reports of Ramsay hunt syndrome with multiple cranial nerves involvement. This case report emphasizes the importance of systemic examination in a case of Ramsay Hunt syndrome. A patient with erythematous rash present on external ear with facial palsy & hearing loss and soft palate movements absent on right, gag reflex absent on right side, uvula deviated to left side(CN IX & X) may present first to a physician but a dermatologist's opinion will be valuable in coming to a diagnosis. Prompt treatment with prednisone and acyclovir in our patient improved patient's recovery remarkably. Delay of treatment may result in permanent facial nerve paralysis. 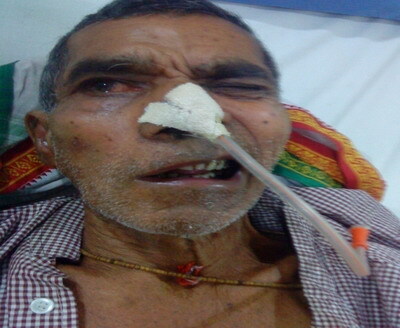 As we diagnosed this patient early & treated him promptly we saved him from permanent facial nerve paralysis. From this case the old maxim "it is more common for common diseases to present in uncommon ways at uncommon locations than for uncommon diseases to present in common ways" had proven true. 1. Bhupal HK. Ramsay Hunt syndrome presenting in primary care. Practitioner 2010; 254: 33-5. 2. Goldani LZ, Ferreira da Silva LF, Dora JM. Ramsay Hunt syndrome in patients infected with human immunodeficiency virus. Clin Exp Dermatol 2009; 34: e552-4. 3. Hunt JR. On herpetic inflammations of the geniculate ganglion: a new syndrome and its complications. J Nerv Ment Dis 1907; 34: 73-96. 4. Van de Steene V, Kuhweide R, Vlaminck S, Casselman J. Varicella zoster virus: beyond facial paralysis. Acta Otorhinolaryngol Belg 2004; 58: 61-66. 5. Shah RK, Blevins NH. Otalgia. Otolaryngol Clin North Am 2003; 36: 1137-1151. 6. Xanthopoulos J, Noussios G, Papaioannides D, Exarchakos G, Assimakopoulos D. Ramsay Hunt syndrome presenting as a cranial polyneuropathy. Acta Otorhinolaryngol Belg 2002; 56: 319-323. 7. Sweeney CJ, Gilden DH. Ramsay Hunt syndrome. J Neurol Neurosurg Psychiatry 2001; 71: 149-154. 8. Kleinschmidt-DeMasters BK, Gilden DH. The expanding spectrum of herpesvirus infections of the nervous system. Brain Pathol 2001; 11: 440-51.